Ever have a dream come true? Something that you truly wished for, that when it came to fruition felt like a miracle? Cindy Sarai has been helping people make their fondest dreams of creating a family and adopting a child come true for over a quarter of a century. 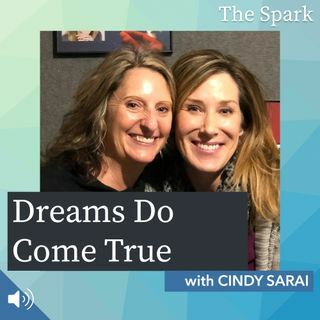 Cindy is the founder and Executive Director of Adoption Dreams Come True and has been a part of over 500 placements of children into happy homes. Her personal passion to this mission of connecting families and providing adoption ... See More opportunities to parents from all races and different levels of income is apparent from the moment you meet her. Join us for an interview with an amazing lady on an incredible mission, who makes the world a little better for all of us.